A couple more custom Dietrich's - The usual questions - Who, What, Where, When and Why. Ed, attaching photo taken at Pebble Beach circa 1962. I assume there is about a one in three chance that you are very familiar with this car! Photo apparently taken in June of 1957. Must be still out there somewhere! The Maybelline Packard supposedly was last seen in a scrap yard in Chicago back in the early 50's. West, attached are photos of JM's experimental Packard. Interesting car but definitely not in my top 5! The car was displayed at the Kirkland Concours 8 to 10 years ago. 33 Dietrich Conv Sedan - one of only a handful produced. Odd set of tires and (very unusual on a Dietrich) painted headlight and parking light shells. Over the years I have seen one or two LeBarons done that way but never a Dietrich. The photo appears to be of when the car was new or nearly so. 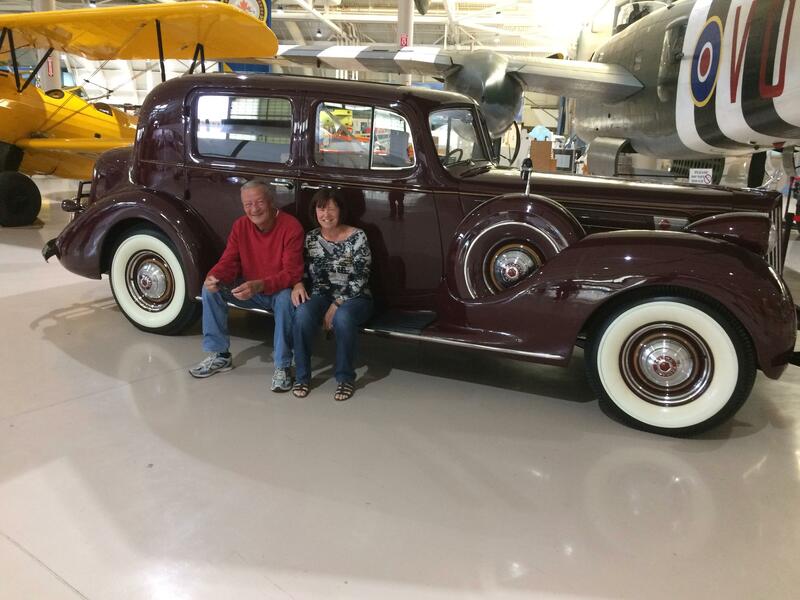 Ed, enjoy and respect your comments on things not just Packard but Classic Cars in general. I am confused by your last post. Can't leave a fellow enthusiast hanging like this - curious as to what car you are referring to on the left (??) coast that was owned by Ken Kennel?? Are these just typo's or was the red wine really good?? The Holy Grail of Packards to be auctioned. Just looking at this machine raises much pulse level and heart rate. Will be very interesting to see how much the car brings. If I could only have one car in my garage, this would be it. What we really need are 50 collectors which 100,000 each. Any takers, we can work out the details later! The most exciting day for me in 40 years of the car hobby was a ride around 17 mile drive in this beauty after winning Best of Show at Pebble Beach. I wish I could tap the phones of a few of the deep pocketed Packard collectors just to hear the buzz. The surprising thing to me is that Judge Joe is willing to part with it. Any opinions? The re bodied 1108 Victoria that was on the forum a week back piqued my interest. I know that these re bodied cars are in a grey area when it comes to meets and judging. I have attached a couple of photo's of project 1108's from 5 or 6 years ago. Is there anybody out there that knows the current status of these two cars? The Victoria was in Pennsylvania and I believe the Couple Roadster was on the West coast (maybe Washington). I am not a buyer just a curious enthusiast. I know that they are re bodied cars but I admire the enthusiast willing to take on the challenge and expense of recreating such a work of art. When done correctly it at least increases the chance of seeing one of these beauties at one of the various concours.